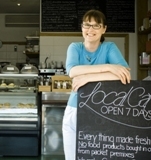 "BankLink saves me time and helps with my cash flow management." 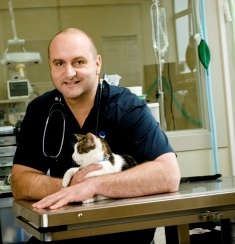 Time is important for Alex Melrose, owner of VetCare, an animal veterinary hospital, cattery and retail store. Since opening five years ago, Alex has seen the business grow substantially. Key to his success has been his ability to spend time on growing his business not doing his bookwork. "Prior to BankLink, even when the business was much smaller I was spending hours each month doing my accounts." "Through BankLink, my accountant now receives an electronic copy of my statement information each month." "This allows him to provide me with timely and accurate information that I can use to help understand and manage my cash flow. I can use the monthly profit and loss report to compare against my budget." "I no longer have to send my accountant paper bank statements or search for my receipts." "By using BankLink my time spent on bookwork has been reduced by 90 percent. It now only takes me 30 minutes a month."